A library is a dwelling place for books, and in books dwell ideas. 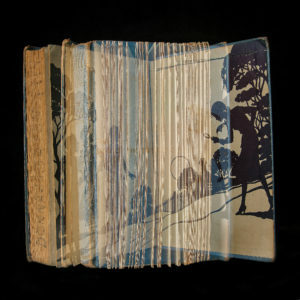 Books themselves, the best ones, at least, don’t need to feel or smell new, but they do need to feel or smell timeless. Perhaps that’s why Ellen Cantor’s photography exhibit, “Prior Pleasures,” seems right at home in the Peninsula Center Library. 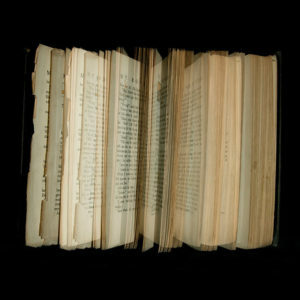 Comprised of 22 images, “Prior Pleasures” gives the viewer a delightfully startling glimpse into numerous literary classics, although the overriding theme has to do with memory, aging, and the passage of time. 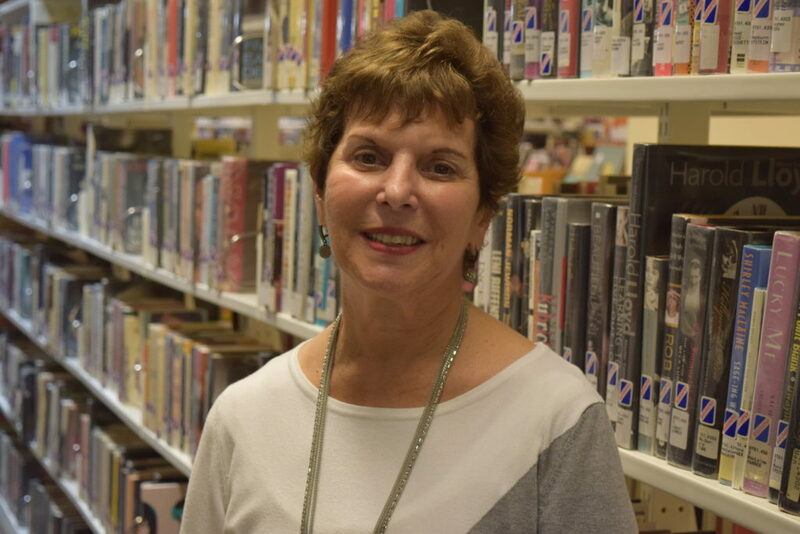 “I started out with 12 books from my childhood,” Cantor says. 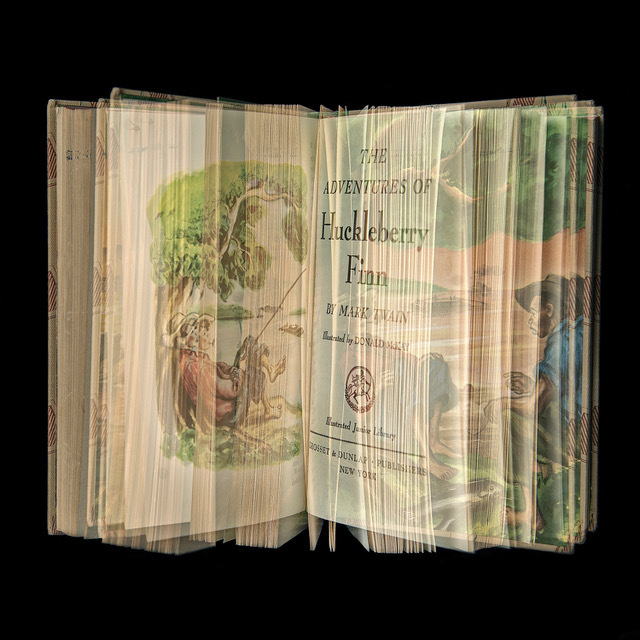 “Six were my mother’s from the 1920s, and six were mine.” Using a multiple exposure technique, in which endpapers, text, and illustrations are individually photographed, it’s as if the pages have fluttered open and we can view much of the contents all at once. 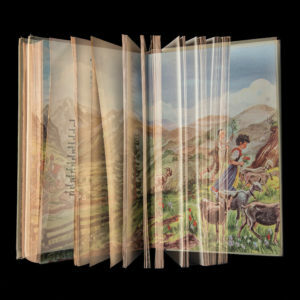 Most of the books in “Prior Pleasures” are beloved, then and now, by young adults: “Alice in Wonderland,” “Hans Brinker, or the Silver Skates,” “Heidi,” “Little Women,” “Five Little Peppers and How They Grew,” “Kidnapped,” “Treasure Island,” “The Last of the Mohicans,” “Huckleberry Finn,” and more. Presumably no Dostoevsky or James Joyce. 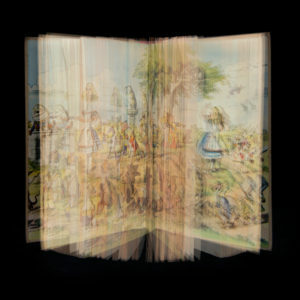 Altogether, Cantor has completed 29 photographs for this series. And it has, incidentally, proved quite popular. Other venues have or will be showing selections: dnj gallery at Bergamot Station, the Spartanburg Museum of Art in South Carolina, and the Griffin Museum of Photography in Massachusetts. Later it flies to Italy as well. Clearly, you have an abiding affection for books. There’s nothing like holding a real book. Ellen Cantor has lived on the Palos Verdes Peninsula for 44 years, the vast majority of that time in Rolling Hills Estates. She’s originally from Chicago, and attended the University of Illinois. Her first career was as an elementary school teacher, but she came to California, to UCLA, to study interior design, which would become her profession for 35 years. But of course she didn’t become a fine art photographer overnight. “I started out like most people,” Cantor says. “I took my camera to the botanic gardens or downtown; I did architecture and trees and grass and flowers and landscapes. Then about seven years ago I had a back problem; I was no longer able to carry my tripod and my camera out in nature.” This was disheartening, as she loved photographing outdoors. “So I started doing still-lifes at home, and that led me on this journey which I had no idea where it would take me, to (become) a fine art photographer. 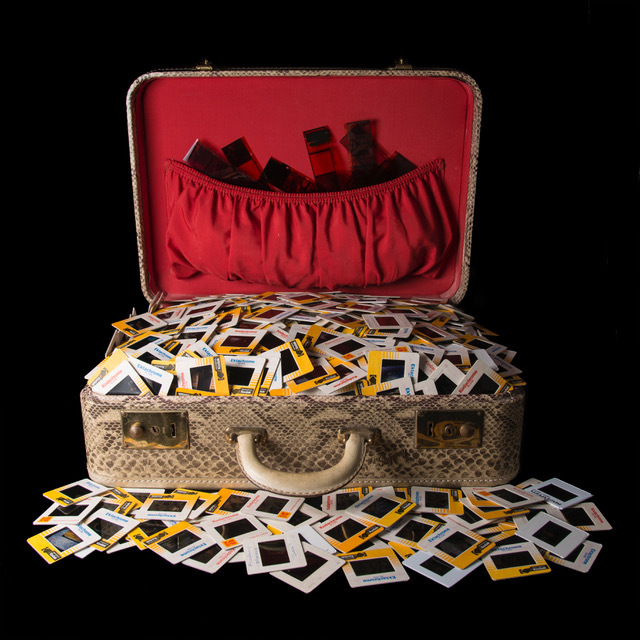 Meaning that Cantor has several other projects currently brewing, one of which she’s titled, “I Can Only Remember What I Don’t Forget;” and like “Prior Pleasures” it also explores memory, especially as sparked by old photographs. They could take their memory cards to Costco and make prints, I point out, and then pick up a photo album while they’re at it. Looking back, Cantor could not have anticipated this third act in her professional life.